What is SPIRULINA? It is a dietary nutritional food supplements that helps any health problem in a human body. It is not just a simple dietary nutritional food supplements, but it will also heal any illnesses that most people suffer today. Some scientists call it as a holistic food for its natural process. It is classified as Arthrospira species which amazingly grow in the alkaline water that hit by the sun light. When it discovered by the scientists in the past century, they found it as an unusual food that rich in vitamins and minerals, it has more benefits compare to the other food supplements in the market. When check in the microscope, the form is like a small blue green algae or alga. 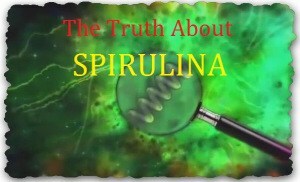 It has a shape of small coiled spring, so they are decided to name it as a spiral or SPIRULINA. It is the combination of alkaline water and sunlight that amazingly grow naturally with a holistic effect for health. It has rich of vitamins and minerals that provide balance and complete nutrients. How it really works to our body? According to the scientists who discover to the holistic blue green algae food, 1 gram of SPIRULINA is equivalent to 1 kilogram of fruits and vegetables. So if consume regularly, it vitalize the pancreas that will be the important body engine to boost the immune system. We considered it as an immunity booster that has powerful antioxidant. If you have a good immune system function, all foods you consume will convert into energy and capable to generate the vitamins and mineral to their individual functions. In that case, our body’s protection will do their job correctly and have a capacity to prevent any bad bacteria that wish to reside in any part of our body. SPIRULINA is easy to digest in our digestive system and easy to assimilate to our body which enhances the absorption of vital nutrients. In my experience, most people that using it will get a result in just more or less one month for the serious illnesses. So be patience if you are serious on treating your health problem, but for the purpose of enhancing of the body only can get result in just usually more or less one week. You will feel it! This supplement has 60% high class protein with full variety of 18 amino acid profile that is very important to boost energy level. It has 100% alkaline food that counteracts the acidity of our modern life. It is the highest source of vitamin B12 and vegetable protein. It contains phycocyanin that is use to decreases LDL (bad cholesterol) while increases HDH (good cholesterol). It has a natural source of fatty acids and nucleic that activate cells metabolism and rejuvenate our body cells. Strengthens the natural healing power of our body that helps healing faster and recovers from illness. It has active enzymes that very important for food digestion and absorption to reduce constipation. It has a full nutrient that increases appetite and helps growing children. In effect, 1 gram of SPIRULINA is equal to 1 kilo gram of assorted vegetables. It has the ability to strengthening of immune system, lowering bad cholesterol, and supporting cardiovascular health. Enhancing natural cleansing and detoxification. It has a richest known of chlorophyll which enhances the cells of metabolism and regulates blood circulation. Improving gastrointestinal and digestive health. Reducing cancer risk with better antioxidant protection. SPIRULINA is very effective to the following: Stamina and energy, Strengthens the immune system, Better skin, Strengthens bones and muscles, Good eyesight, Clear mind and memory retention, Lowers cancer risks, Helps lower bad cholesterol, Good night sleep, Regulates blood circulation, Detoxifies body from toxins, Ease the PMS, and Ideal for dieting and slimming that most woman today’s wishes for. The power of so called pure SPIRULINA is not just a common believe, but also acknowledge and recognize even by the international WORLD HEALTH ORGANIZATION, UNITED NATION, and US Department of Agriculture. Pure SPIRULINA is all natural super food for overall health, energy and vitality. It is the best food for tomorrow and the answer to the malnutrition.